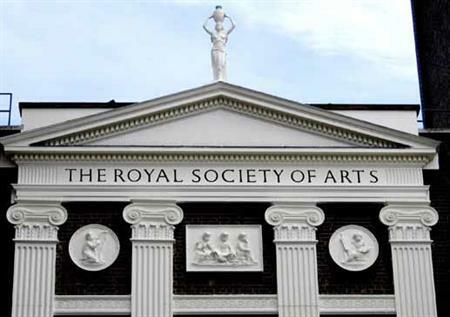 The RSA (Royal Society for the encouragement of Arts, Manufactures and Commerce) has completed a nine-month refurbishment project of its events spaces including the Great Room. The makeover at RSA House, located behind the Strand, London, aimed to focus on the original appearance and features of the 18th century building, while improving technology and facilities for events planners. The £3m restoration has seen the Great Room, Benjamin Franklin Room and ground-floor event spaces developed with collaboration between the RSA House Development Committee, Matthew Lloyd Architects and other specialist consultants. Fixed seating has been stripped from the 200-capacity Great Room and replaced with movable seating, transforming the space into a multipurpose area that can be used for a events including conferences, exhibitions and dinners. The ground-floor areas now have a more flexible open plan space, which incorporates new informal meeting rooms. New technology includes a bespoke interactive wall within the foyer, which can relay events live into the space from the Great Room. Events can also now be streamed in HD, creating real-time links with audiences in the UK and internationally. RSA House comprises 13 event spaces accommodating between 14 and 200 delegates.